Yeah! Congratulations to Jane R. from Ireland!!! You are our Free Registration Giveaway Contest Winner! And congrats to Amy B., Susan D., Rosemary C., Alice Z., and Kimberly J., our five runners-up winners who will receive our Dip Your Toe In – Alert Program® Bundle. Look for our next contest and in the meantime, signup for our email list so you’ll get notified. Do you know about the Alert Program® and how it supports clients or family members with autism, ADHD, and/or sensory challenges to become more alert, attentive, and focused? Want to make your days (and your children or clients’ days) go more smoothly and find ways to prevent behavior outbursts (yours and/or others… LOL)? Whether you are new or have been an Alert Program® Fan for years, you’ll find LOTS of new, practical, low-budget suggestions to support those you live with or work with. Need CEUs? You’ll receive 20 contact hours of fun-filled, continuing education. To learn more about the Alert Program® Online Course, if you live in the USA, click here. Or if you live outside the USA, click here. Here’s how to enter the contest… easy as 1, 2, 3! Below tell us how you will spread the word about our Alert Program® Online Course: You can share with your friends on social media, email to at least three friends, family, or co-workers, or post the ol’ fashion way on your school’s bulletin board, etc. 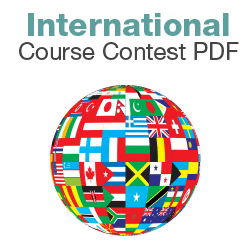 We’ve made it easy: Use the social sharing icons at the top of the page or the following handy-dandy Course Contest PDFs. Six winners will be announced on Friday, September 21st at noon (Mountain Time) here on this webpage and on Facebook. 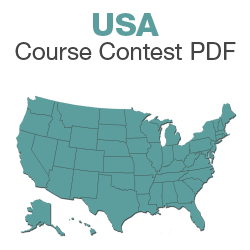 One winner will receive a free registration for our Alert Program® Online Course and five winners will receive the runners-up prize of our Dip Your Toe In – Alert Program® Bundle. Register by September 21st for this one-of-a-kind online course and receive your FREE Alert Bingo Game. (We will happily refund the winner, so don’t wait to register!) If you live in the USA, click here. Or if you live outside the USA, click here. Rest assured… We never share your private information with anyone. We hate spam and junk mail as much as you do! We'll only call if you are the winner and we are unable to reach you by email. I shared this page (using the social sharing icons at the top of the page). I forwarded the course announcement email I received to at least three people. Not currently receiving Alert Program® email announcements? Sign-up Now! I emailed the PDF to at least three of my friends, family, co-workers, and/or professional groups. I shared or messaged the PDF with my friends on Facebook or other social media. I gave my children’s teachers (or school staff) the PDF so they can learn more about the Alert Program®. I told my extended family about the Alert Program® and shared the PDF. I’m a fairly new OT graduate and shared the PDF with my friends and/or University alumni. I printed the PDF and posted it on a bulletin board (school, clinic, hospital, etc.). I shared the PDF with my professional colleagues (OT or other therapist groups) via social media or email. Hit submit to enter the contest by September 21st at noon (Mountain Time)! Check this box if you would like to receive our newsletter (tips, tools and how-to's) from the Alert Program® via email.